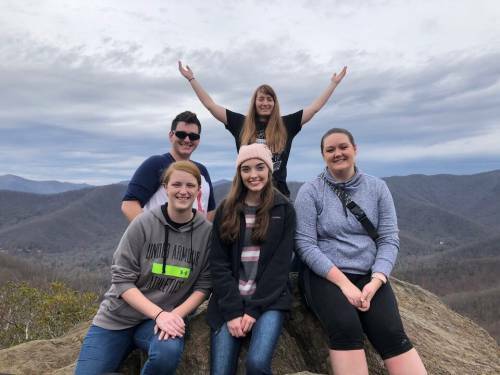 Many of the nearly 1,000 students who attended the Montreat College Conference in January had the proverbial mountaintop experience, including students from the Presbytery of Greater Atlanta. (Contributed photo). LOUISVILLE — Nearly 1,000 college-aged students and their UKirk pastors and leaders began the new year together at the annual College Conference held last month at the Montreat Conference Center in Monreat, N.C. Featured speakers for the event included author and founder of the Interfaith Youth Core, Eboo Patel, along with residents and chaplains of the Swannanoa Correctional Center for Women. Patel was a member of President Barack Obama’s inaugural Advisory Council on Faith-Based and Neighborhood Partnerships. Interfaith Youth Core is a Chicago-based international organization that aims to promote interfaith cooperation. Conversations focused on a variety of aspects around faith and the life of college students. Spirit-filled worship services, which were sprinkled throughout the conference, were led by the Rev. Aisha Brooks-Lytle, executive presbyter of the Presbytery of Greater Atlanta. Drawing from scripture passages Luke 6:36, “Be compassionate just as God is compassionate” and 2 Cor.1:3-4, “Praise be to the God and Father of our Lord Jesus Christ, the God of compassion and the God of all comfort, who comforts us in all our troubles, so that we can comfort those in any trouble with the comfort we ourselves receive from God,” this year’s conference theme was Compassionate Community. Beardall said hearing their stories made her realize how brave the women must be to have gone through the difficult times and to see how much it has affected their lives for the better. Cain, a first-year student at Agnes Scott College and a member of Clemmons Presbyterian Church in Clemmons, N.C., also reflected on the inmates’ impact and Patel’s remarks. Cain says Patel was the first non-Christian she’s heard speak at an event like the Montreat College Conference. That workshop discussed the documentary “The Power of Compassion: Life Lessons from Mr. Rogers.” Huete says discussing this documentary was “a great choice for the retreat.” The workshop made her aware of the accomplishments and wisdom that the late Presbyterian pastor and children’s television pioneer provided to the world through his television platform. 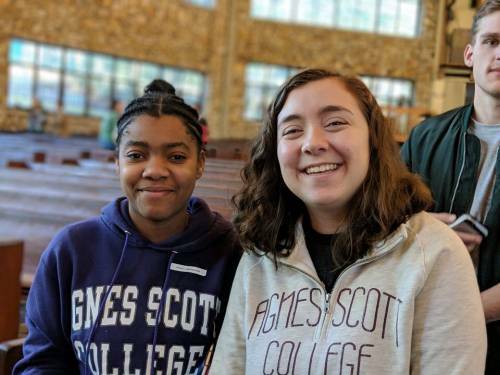 Isenhower, who had never attended a conference at Montreat before, said her favorite parts of the conference were the keynote speakers and the time she spent growing and reflecting with her UKirk group each night as participants shared about their day. Isenhower is a sophomore at the University of South Alabama. She is a part of the UKrik South Alabama campus ministry at the Presbytery of South Alabama. The four attendees all told Olker how much they learned and how their worldview and faith view were broadened by this conference. “They each shared, in different ways, the fact that this conference has given them a sense of call to work to build a kinder, more compassionate community in their UKirk communities and their wider campuses, “said Olker.